Cutting accuracy, flexibility and maximum possible safety: the automatic pushing saw OptiCut S 50 from DimterLine offers you all this. 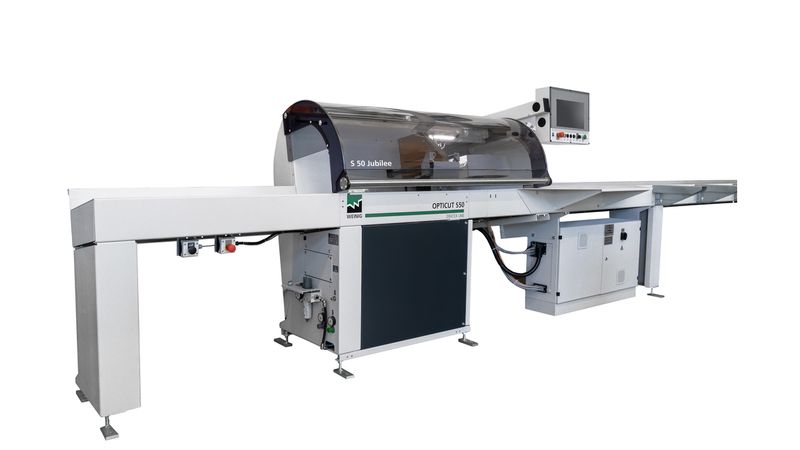 The OptiCut S 50 is already highly productive for hundreds of customers - with the OptiCut S 50 you can cut up to 4 times more than a manual cross-cut saw with only half the staff! Simultaneously, you can profit from maximum timber yield by optimizing. Cut out antiquated customs and invest in your future! For there is enormous potential in cross cutting for you to achieve increases in productivity, profit and added value.